Television has provided us with a plethora of entertainment and educational content for decades. It’s reliable and trustworthy in terms of advertising and has remained as one of the most effective ad mediums since it was invented in 1927. But there’s a new player in the game, and its name is online video. Online video is TV’s biggest competitor and we think advertisers should highly consider switching teams. With online video, you have the potential to reach a multitude of diverse audiences without breaking the bank. TV is expensive, and online video has better defined audience targeting capabilities at a much smaller price tag. Who wouldn’t want that? So, what? Advertisers should completely disregard TV and make the full-on switch to online video? 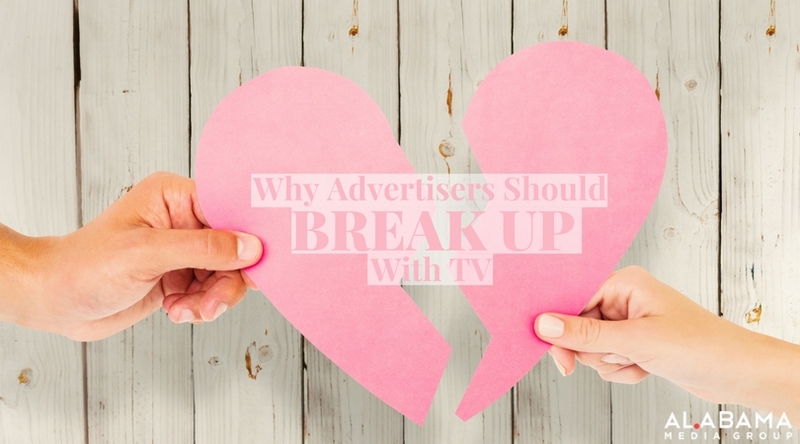 Ok, so maybe we shouldn’t suggest an absolute break up with TV, but rather adding online video to the media mix to complement TV advertising efforts. If you solely rely on TV for visual advertising, key audiences who live online are missed and valuable ad dollars are wasted. Alabama Media Group offers exclusive sponsorship and premium video content on al.com, as well as opportunities around commercial video production and extended network to reach up to 97% of the online audience. We have the knowledge and tools to place your message in front of your desired audience and would like to help your company see measured returns on advertising dollars. To learn more about we can assist you in meeting your advertising objectives by utilizing online video, contact us today.